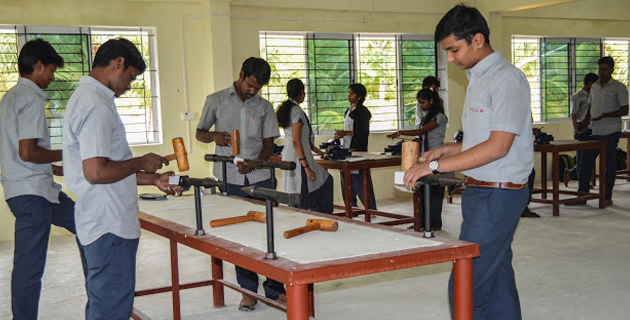 Mechanical Engineering Department of Mysuru College of Engineering started functioning from the year 2015 with a sanctioned intake of students . The focus of the department is to offer quality education in the specialized fields of Design, Manufacturing, Thermal and Materials engineering. The might of the Department, apart from its Students, is its Qualified and Experienced Faculty/Staff. Faculties are actively engaged in Teaching and mentoring students apart from perusing their research activities in the emerging fields of engineering. The department has a resourceful team of faculty that mostly consists of PG holders. Faculty members regularly attend technical workshops and seminars organized by various technical institutes, and many of them have presented papers at national level seminars. To create globally competent mechanical engineers capable of working in an interdisciplinary environment, contributing to society through innovation, entrepreneurship and leadership. “Prof. DR.K.S.SRINIVASAN B.E. M.Tech. Ph.D. HOD in Department of mechanical Engineering. He Completed his Bachelor of Engineering in mechanical engineering ,Master of technology in machine design and Ph. D in I.I.T,DELHI. His areas of Specialization MACHINE DESIGN, ARTIFICIAL NEURAL NETWORK AND CONDITION MONITORING OF ROTATING MACHINES. Served as Principal of PMC technology Hosur,Tamilnadu, Coorg institute of techhnology, Ponnampet,Ekalavya institute of technology, Chamarajnagar, ATME college of engineering, Mysore and Mysore college of engineering, Mysuru till 5th may 2017. Life member of ISTE and MIE. Published number of research papers in National and International journals and conferences.He has guided number of M.Tech and Ph.D students. “Mr. Supreeth. S is presently working as Asst.Professor in Dept. of Mechanical Engineering MyCEM, Mysuru. He graduated B.E in “Mechanical Engineering” from Maharaja Institute Of Technology, Mysuru and Post graduated M.Tech in “Computational Analysis in Mechanical Science’s” from Vidya Vardaka College of Engineering, Mysuru affiliated to Visvesvaraya Technological University (VTU), Belagavi. He has a total experience of 3.5 years in teaching. He has research interest in the area of Material science and Thermodynamics. 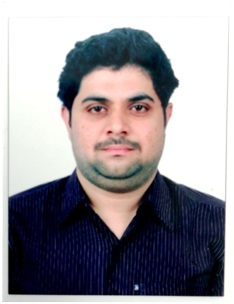 He has published 2 Journal papers, paper entitled has “Influence of Fiber Length on the Tribological Behaviour of PALF reinforced Bisphenol-A composite” (IJERGS) at International Journal of Engineering Research and General Science (Volume 2, Issue 4,June-July, 2014 ISSN 2091-2730) and “Effect of Fiber Length on Thermal Properties of PALF Reinforced Bisphenol-A Composite” (IJST) at International journal of Science and Technoloedge (Volume 2, Issue 7, July 2014 ISSN 2321 –919X).He also Worked as apprentice trainee for 1 Year in BEML-Mysuru. He also attended Faculty Development Program on “New Trend in Teaching Methodology” held in VTU-regional centre, Mysore. “Mr. DEEPAK P is presently working as Professor in the Dept. of Mechanical Engineering. 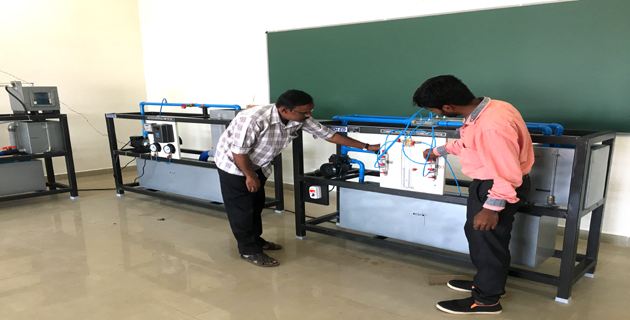 He obtained his bachelor’s degree in Mechanical Engineering from VVIET, MYSURU and Master’s degree in Production Technology from VVIET, MYSURU under VTU Belagavi. His areas of interests are Elements of Mechanical Engineering, Total Quality Management, Manufacturing Process. He has published paper entitled “Linear Regression and ANOVA Modelling Tool When Turning of EN 24 / EN 31 Alloy Steel” in the International Journal of Engineering and Research Application, (IJERA), Vol.04, Issue 6, June 2014, ISSN 2248-9622, | Page no 216-221|. And same paper has been published in National conference. This was held at JSSATEB. He attended workshop on “Finite Element Method - Foundation”, held at VVIET, MYSURU. He also attended Faculty Development Program on “Technology Enabled Teaching Learning Process” held during January 2017 and “Energy Management ISO 50001 and Environmental Assurance” held during March 2017 at NIE, Mysore. Mr AMAR. M is serving as Assistant Professor in Department of Mechanical Engineering MYCEM, Mysuru. He did his BE in Mechanical Engineering from Ghousia college of Engineering, Ramanagaram and M.Tech in Production Technology from VVIET, Mysuru. He has published a paper titled in “Study and Fabrication of Bamboo-Aramid Hybrid Composite Material” in Global Journal of Engineering Science and Research Management Vol.3 Iss. 7, july 2016 (gjesrm ISSN 2349-4506). 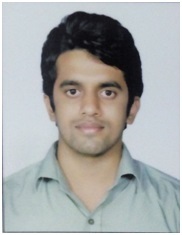 He worked in BEML (Mysuru Complex) as an Apprentice Trainee in the Department of Quality Machine Shop. His area of interest includes Composite materials, Quality engineering, Non – Destructive Testing, Industrial Robotics, Operation Management, Mechanics of Materials. He has guided 2 Engineering projects. He also attended One Day Workshop Entitled “101 Ways of Improving Employability for UG students” Organized by (VTU – HRDC) Centre for PG studies, Muddenahalli, Chickaballapur (Dist). .
Mr. RANGA PRASAD M R is working as Asst. Professor in Dept. of Mechanical Engineering, MyCEM, Mysuru. 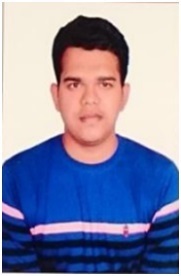 He graduated B.E in “Mechanical Engineering” from Maharaja Institute of Technology, Mysore and Post graduated M.Tech in “Maintenance Engineering” from Department of PG studies, Sri Jaya Chamarajendra College of Engineering, Mysuru. His area of interest includes solid mechanics, Machine Design, Finite Element Methods and Structural Dynamics. 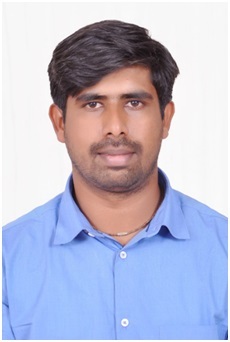 He worked as an Planning Engineer in Lalitha Maintec and also worked as an Application Engineer at PROsim R and D Private Limited Bengaluru. .
Mr. GIRISH M N is working as Asst. Professor in Dept. of Mechanical Engineering, MyCEM, Mysuru. He graduated B.E in “Mechanical Engineering” from Maharaja Institute of Technology, Mysore under VTU and Post graduation M.Tech degree in “Maintenance Engineering” from Department of PG studies, Sri Jaya Chamarajendra College of Engineering, Mysuru under JSS STU. His area of research are in the field of Acoustics, Tribology , and erosion studies. He has published 8 technical papers in various international journals, one of the papers titled “ Effect of erosive wear on pineapple leaf fiber reinforced vinylester based hybrid composite as acoustic barrier” has been approved by SSRN proceedings and will be published in ELSEVIER. .